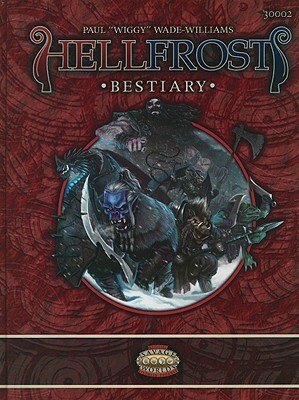 Finally got a copy of this, the Hellfrost Bestiary! Hellfrost was released about two years ago by one of Savage Worlds' most prolific writer/developers. The only reason I haven't run a game in it is because they haven't released the Gazetteer and the Bestiary until recently. Here's proof that Savage Worlds does fantasy as well as that "original fantasy role-playing game".